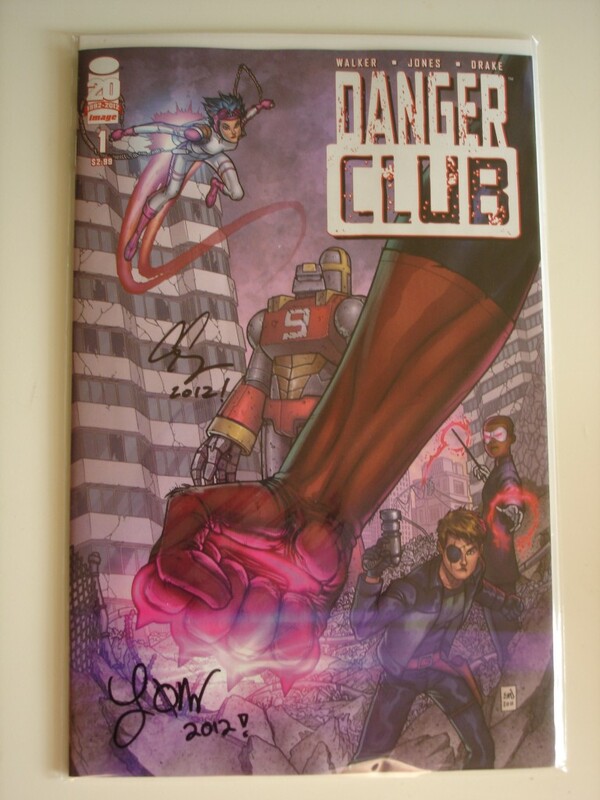 In the world of “Danger Club”, costumed superheroes, alongside their young, teenage sidekicks protect the earth from danger. One day, the superheroes leave Earth to attack a malignant force in space, only to never return. The safety of the world is left to the adolescent apprentices who are conflicted with their new found authority. The story begins in the midst of violence: three of the apprentices, Magician, Fearless and Kid Vigilante, observe fellow sidekicks cruelly beating each other in a desolated sports stadium. We find out that Apollo, one of the more powerful sidekicks, is trying to build up a new faction called the “New Olympians.” Candidates must fight each other and the victor is rewarded a spot in Apollo’s group. Kid Vigilante is disgusted with Apollo’s obsession for power and with the help of sidekick Yoshimi and her giant robot (which we assume is an unsubtle reference to The Flaming Lips), Kid Vigilante savagely defeats Apollo and attempts to disband the New Olympians. Somebody necessarily help to make severely articles I might state. That is the very first time I frequented your website page and so far? I amazed with the analysis you made to make this particular publish extraordinary. Magnificent task!